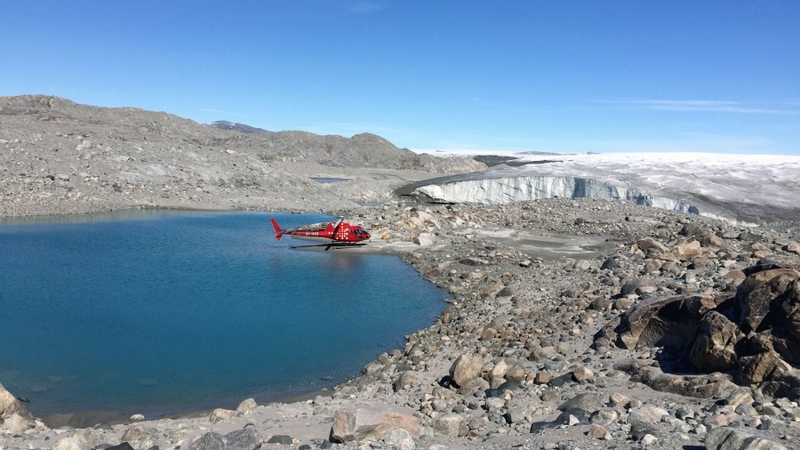 “Sea levels are rising – what will that mean for your city? Andrew David Thaler, a marine biologist who blogs at Southern Fried Science, has taken to Twitter to find out. The result, #DrownYourTown, has become the official hashtag of the apocalypse. Thaler’s original concept was to show cities at 80 meters, or about 262 feet, of sea level rise: the extreme end of climate change predictions. 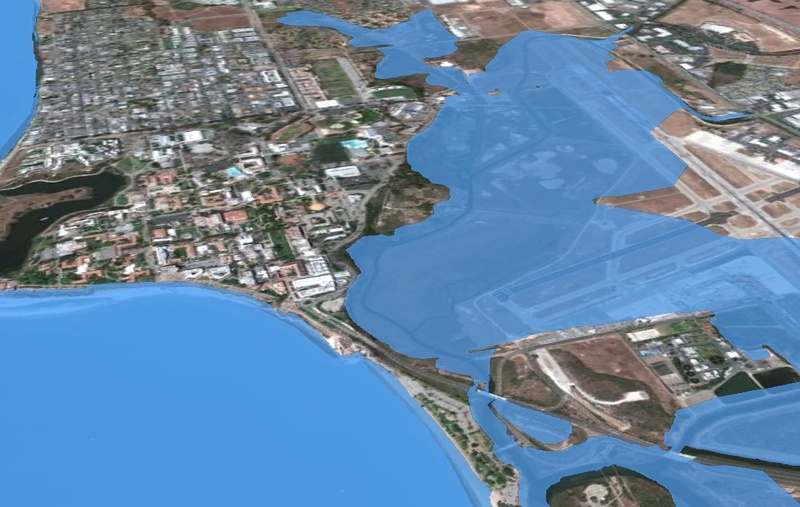 He created his renderings using GIS modeling overlaying Google Earth images with a simulation of the rising tides. 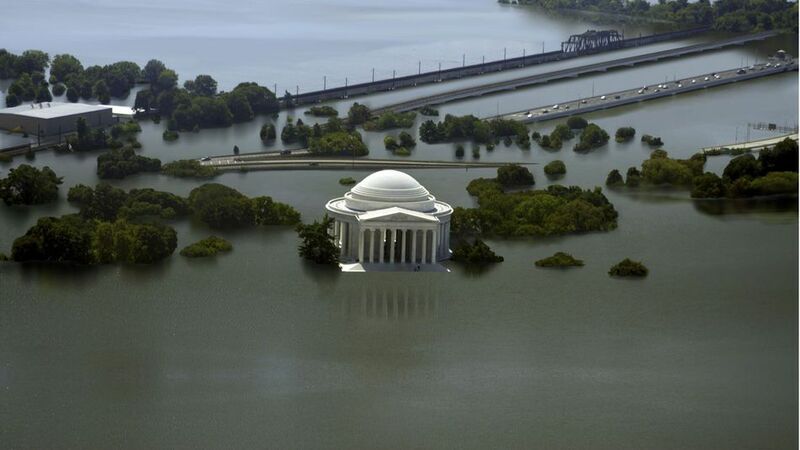 In the manipulated images, Miami is gone while only the top of the Washington Memorial pokes through in downtown D.C. The project served as both a dire warning and a promotional device for his self-described “dystopian maritime science fiction serial adventure” book series. 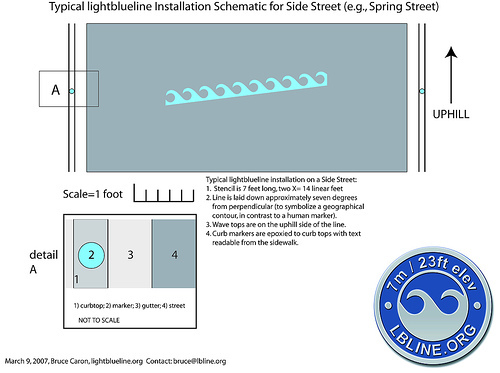 Here is the archive of photos from the original Santa Barbara lightblueline project on Flickr.